Smartphones have become a mass phenomenon within the technology market, being able to access the internet whilst on the go has changed everyday life for everyone. Especially as consumers, we’ve become reliant and addicted to the social media window smartphones have opened up to us. It’s hard to believe that only a few short years ago functions phone were capable of were; texting, taking pictures, playing games with appalling graphics and listening to ringtones that were automatically saved onto the phone. With the internet developed to the highest standard, manufactures are going back to the heart of why phones first became popular. These three new accessories that are making their way onto websites and into stores are bringing back the originality of smartphones – all without the use of the internet! After downloading all those music apps, this accessory is a great way for you to enjoy your music whilst on the go. The sports armband is just one product from Mobile Madhouse’s HTC One accessories range. The armband allows you to browse through your music and other features on your phone without the difficultly of fiddling around in your pocket. Whether you’re a gym fanatic or just leading an active lifestyle, the armband is perfect for listening to music and answering your calls when on the go. The armband is made from a combination of faux leather and flexible neoprene fibres, to make it as light as possible for the consumer. It also offers maximum protection from drops, scratches and even getting lost, so you can relax and enjoy your music without any worries. Were you a lover of Snake, Tetris or Pong? Well Samsung have created the ultimate gaming device for the Galaxy 4S that could be ideal if you’re a bit of a gamer. The look and style of an old Nintendo console combined with the interactivity and impressive graphics of the Galaxy 4S, now allows you to play your favourite mobile games on a console based games controller. The game pad includes all the original gaming buttons such as; select, start, back, home and menu buttons as well as four action buttons, shoulder keys, an omni-directional d-pad and dual analog sticks to enjoy blistering game speeds. It also has an adjustable clamp design, which securely holds your phone within the pad so you can game on the go and not have to worry. Cameras on smartphones have improved a great deal from the first black and white, blurry images we were able to capture. 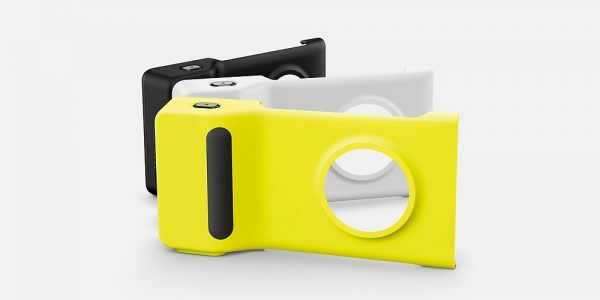 Now with the Nokia Lumia 1020 camera grip, we can turn our phones into an actual camera. The camera grip slides onto the front of the phone, and the design allows you to get any shot you want from any angle. The unique feature of the camera grip is it has a built in rechargeable battery, you just need to turn it on when needed for an extra 55 minutes worth of shooting time. If you fancy yourself a bit of a photographer, the camera grip can also attach itself to any standard camera tripod for those long-exposure shots or to get yourself in the picture.